This morning, I was reading Psalm 2 and this song came to me. I’ve been enjoying listening to Gary Clark Jr. these days, so I’m sure the blues sound is coming from that inspiration. I had originally intended to make the song a metric psalm but then the idea of a narrative verse about Nebuchadnezzar came to me. Spirituals and Blues have so much story telling in them that it seemed a natural fit. I’m not totally sold on the title but it seemed the only hook in the tune. Psalm 2 is kind of hard to read through the lens of grace and personal salvation. It’s certainly a warning that we aught to look to the Son as our only refuge or else we stand condemned. However, it’s not the picture of the gentle “Buddy Christ” that the American culture likes to cling to. This morning, Psalm 2 spoke to me about the sovereign rule of Christ over the nations to do justice and righteousness. The kings of the nations will not be able to stop the movement of this kingdom. Why do the kings of the earth stand against You? Why do they rage and conspire in vain? The body of Jesus Christ was dead, laid in the grave, sealed with a stone, rotted for a day, and then he was restored to become the first of the new creation. Jesus Christ was accused, rejected, betrayed, and murdered. All that he said about himself and all the promised words of the Father appeared to be in questions until they were confirmed by the power of the resurrection. Jesus Christ assumed a position of total dependence and humility with the Father. The fullness of his power was demonstrated by submission to being executed for crimes he did not commit. In the resurrection, his power was completely manifested over the curse, over death, and over every power in heaven and earth. The finished work of Christ in his suffering on the cross and defeating death in the resurrection established a kingdom of light that will never pass away. Suffering was the means by which Jesus became Lord and King. Now, as his sons and daughters, we participate in his suffering. The God of all grace has called us to his eternal glory in Christ, and so that these same qualities will be brought to expression in our lives, we are calling into suffering. His love for us and his purposes for us in his kingdom must include suffering. Can you be restored without suffering? Can you be confirmed without suffering? Can you be strengthened without suffering? Can you be established without suffering? 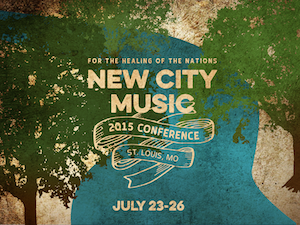 This weekend, I have the rare privileged to take the New City Fellowship show on the road. A few of my NCF team members, Jesse Heirendt and Joshua Saleem, and I are flying to Phoenix this week to lead worship music for an event hosted by Food For The Hungry. I am super excited about being involved in this event because FH is an organization that is walking out the kingdom in real tangible acts of justice and mercy. This weekend is a special conference for folks who are being invited into the vision of FH in order to become partners with them financially and spiritually. Nathan Corbitt wrote a book called “The Sound of the Harvest” . The title refers to a story he tells about visiting a region that was suffering in a famine. When he asked a local friend if there was music being made this year, the man responded, “Bila mavuno hakuna kuimba” or “Without a harvest, there is no singing.” This reflects the same meaning as Psalm 137 in which the artists in oppressive captivity hung their harps from the trees instead of using them to rejoice. Food for the Hungry’s mission statement reveals that they are about more than charity for the sake of easing our Western guilt. They are about restoring communities to a state of balance with nature and with God in which their hearts and bodies are restored to their intended pre-fall condition. This act of restoration brings with it “the sound of the harvest” when new songs and new forms of worship are born. It will be a lot of fun to travel and to participate in this event, but it’s also taking me out of my comfort zones. 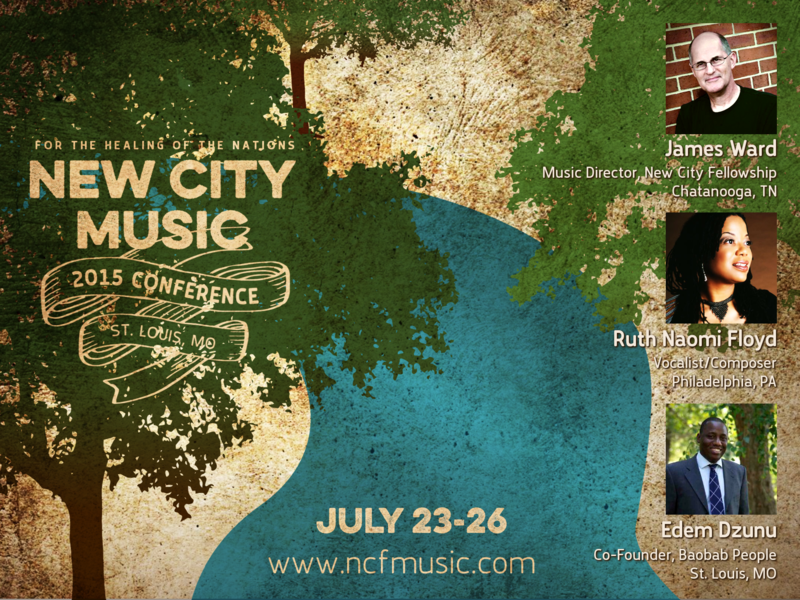 Instead of our usual 10-piece bands at NCF, we will be limited to a trio. I’ve also experienced a type of spiritual oppression leading up to this event in which my character, my experience, and my standing in Christ have been attacked by my flesh and the accusations of the enemy. I’ve shared in the past about the kind of spiritual warfare that can be involved with crossing into unfamiliar territory, and so if you are reading this, please take a moment to pray for me and my friends as we put our faith into practice this week. Why were there no angels in the stable? Something occurred to me this weekend for the first time about the Nativity. There’s no angel at the stable. The angels, God’s appointed messengers or “heralds” of his kingdom breaking out were not at the stable, but out in the fields. I’ve never thought about it. Sunday, Tony Myles sermon brought up the fact that as the shepherds came to the stable bringing news of their run-in with a heavenly host, Mary pondered and treasured this message in her heart. 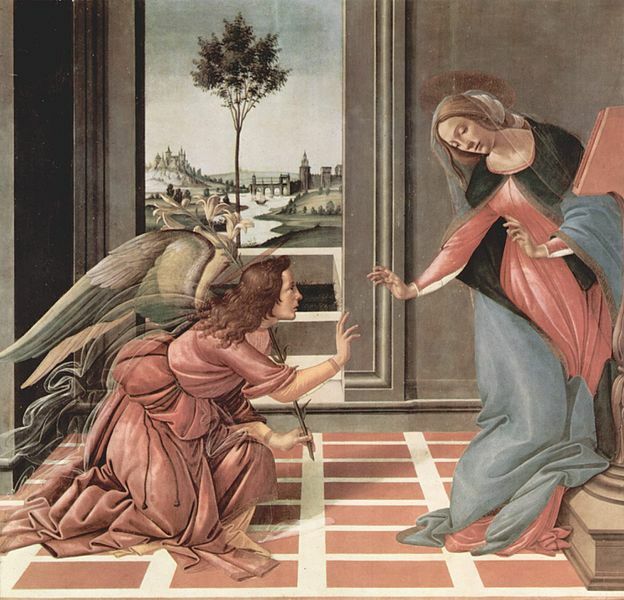 The angel, Gabriel, was there 9 months earlier to announce to Mary God’s plan. However, at the moment when Mary was going into labor and there was no home or inn available, God’s messengers were absent. If you were Mary and Joseph, wouldn’t it have been nice to get a little update from God, to touch base with the leadership, to make sure that this apparent set-back was not going to be a problem. Instead, Mary and Joseph had to trust in the messages they had previously received that despite the circumstances, they were still walking in the way of the kingdom. Still, despite the absence of angels at the stable, God did deliver a message of confirmation to Mary and Joseph through the shepherds. They come to the stable looking for the sign of a baby lying in a manger. Upon finding the sign, the share with the new parents the announcement of the angels – a second hand confirmation of the kingdom. Often, the Lord uses a second hand confirmation through a fellow member of the kingdom who can see what you are doing and who shares with you their honest appreciation for how the kingdom is expressed in your life. I can often disregard these encouragements as platitudes or flattery. “If you could see things from my perspective, then you would know that this is not as ‘righteous’ as it looks” I think to myself. The point is, I’m encourage to think of Mary and Joseph in a place of crisis in their “ministry” where they can’t see God’s kingdom at all. Then God sends encouragement in the form of fellow believers. So, maybe I need to look for more opportunities to encourage my friends with how clearly I can see the kingdom being expressed in them. Are you interested in how visual artists can serve the church? My buddy, Mark Taylor, has been talking with me about how to empower the gifts of visual artists for service in the church. Mark is an artist, a teacher, an adoptive parent, and a hip-hop enthusiast. He studied at SCAD and ended up at New City Fellowship as he and his wife were looking for a multicultural church where their trans-racial family would find a home. We’ve been talking a lot about the use of art in the church. I’ve found that my church in some respects has been a bit aesthetically challenged. Part of the reason for this is a commitment to meeting the real physical needs of the poor. We’re not going to prioritize the use of our resources to create a swanky worship space instead of meeting basic needs of food, shelter, jobs, education, etc. This is why despite having a relatively large budget we still worship in a gymnasium on rusty, old folding chairs. But, applying some of the basic core values of our church, we know that the kingdom is not about how much resources you have, the kingdom is about small acts of love and grace. So how do artists in the church demonstrate small acts of love and grace. How do saints who are gifted in aesthetic skills put 1 Peter 4:7-11 into practice? Some churches invest these gifts into actual galleries or artist in residence programs. Some churches have artists in the worship service splashing paint on a canvas during the songs or the sermon. Some churches employ artists in the process of creating “sacred spaces” in which design and architecture are used better facilitate the experience of worship. I’ll be attending a conference next week that deals with just that. Is my art an act of service to the community? – I believe that “art for art’s sake” is not a kingdom value. 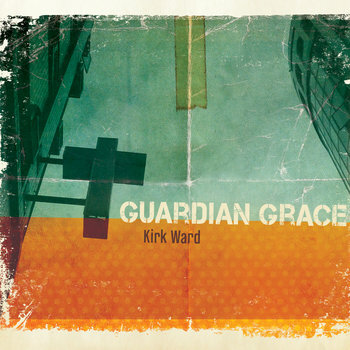 Can music or art that is made without “love God, love your neighbor” as a central goal be a work of the kingdom? Beautiful sacred spaces are an offense to the Lord if they are lacking justice and mercy (Jeremiah 7). This comes from the Spirit and is a gift of grace. Is my art a redemptive, salt-and-light instrument in my culture? If art is engaged with the culture in a way that takes the symbols of the culture in order to redeem them, then we are doing kingdom work. If our art is always sub-categorized into “Christian” art and left out of the market place, then we are no longer speaking into the culture. Is my art a demonstration of humility? Artists have a sin tendency toward being self-absorbed. Humility is not an abstract concept; it’s a reality that has to be walked out. Art of the kingdom must reflect humility through cultural and economic reconciliation. I’m still wrestling (or “wrassling”) with this stuff and I’d love to hear my sister or my cousin weigh in on this stuff as well. Neil, any thoughts? If you are interested in joining in the process as we build a team of artists at New City Fellowship give me a heads up and I will pass your name on to Mark.